– PNB fraud- CBI is going to approach Interpol for a red corner notice against Nirav Modi and Mehul Choksi. – Facebook has come up with a new policy of ad-transparency efforts where they have considered the news publishers in the same category as political publishers. – Ultra Tech Cement Ltd will acquire Century Textiles and Industries Ltd in an all-stock transaction. For every eight shares of Century Textiles, the shareholders of UltraTech Cement will receive one share. Century Cement is valued at Rs 8,561 crore and Ultra Tech will absorb a debt of Rs 3,000 crore. – Tata Sky plans for its growth among customers by being a supplier of Netflix, Hotstar and Amazon Prime, says CMD Harit Nagpal. – Vijaya Bank has declared that its Board has deferred the fund raising plan for 2018-19, and the Board shall meet again on 20th May, to discuss its Capital Raising plan under Basel III. The bank has not made any further disclosure. – Suzuki and Toyota, have firmed up their discussion on tie-up between the two companies by the end of 2018-19. They shall be exchanging, rebadging and selling each other’s car in the country. 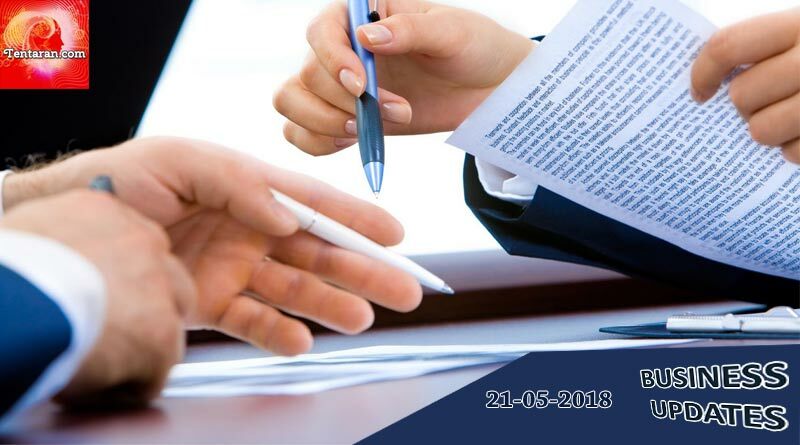 – Fortis Deal- While Yes Bank has sent two letters through its lawyers to urge the board to consider other bids even when the Munjal-Burman offer was accepted; resignation from the board by a Director has been submitted due to personal reasons. This would be in line with the institutional investors demand the removal of four independent directors, Brian Tempest, Harpal Singh, Sabina Vaisoha and Tejinder Singh Shergill, in April 2018. – India’s rural consumption surges in boost for FMCG firms. India overtook urban intake by the widest margin in five years. It is encouraged by good rainfall and an increase in government spending on infrastructure. – Adani Group commits initial capital of Rs.500 crores for Adani Capital which shall focus on semi-urban locations of Gujarat & Maharashtra to finance farm sector, CV & business loans. – Performance wear products get a new ‘stadium inspired’ retail format from Adidas. Saturday, the 19th of May saw the launch of Adidas’s first such store in Delhi and the company has plans to open at least 4 more in the country during 2019.